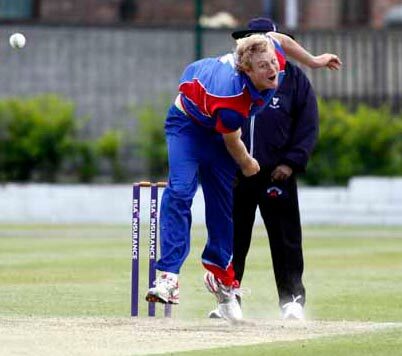 Clontarf have been boosted by the news that former overseas player Mick Granger will be returning to the club for the forthcoming season. Granger is marrying local Clontarf woman Laura Erskine this summer, and confirmed his intentions to resume his ties with the club. He would also be keen to represent Leinster Lightning in the interprovincial series if the opportunity arose. "I will be playing for Clontarf this year so will be good to be back in the red and blue," Granger told CricketEurope. "I would also be interested in playing for Leinster Lightning if the chance come up but obviously I would have to perform well at club level before I think about that. "I've just got to see how things go in Ireland but playing well for Clontarf is my main focus at the moment." In other news from Castle Avenue, Declan Gallagher has moved to Dubai for work for the next few years, but on the plus side Eoghan Delany is returning from Melbourne in April to captain the side. Also back in Clontarf from Australia is Kevin Prior - son of Irish legend John. He is an off-spinner who plays Premier cricket for Camberwell in Melbourne. Closer to home, North County's Conor Shiel is moving closer to the city for work reasons, and he will also be joining Clontarf for the season ahead.